Foundations are the one beauty product that I usually do a lot of research before purchasing; I very rarely make an impulse purchase of foundations as compared to other beauty products like eyeshadows or lipsticks. Mainly because I believe that getting the base right is the most important step in looking good, but also because foundations can be rather expensive. Even then, I’ve accumulated a good amount of foundations and tinted moisturisers. Here’s a quick look at my current top 3 most-used foundations! The first is the Bourjois City Radiance in Beige Clair. This comes in a squeeze tube, and is supposed to be a “skin protecting foundation” with SPF30. I love that this does leave the face looking rather radiant, dries down quickly and doesn’t feel too thick or heavy, and has medium coverage. This is also very affordable, given that it is a drugstore brand. I also like that it comes in a plastic squeeze tube which makes it my favourite foundation to bring along when I’m travelling, as I don’t want to risk any glass bottles breaking. The next is Loreal Accord Parfait Fond de Teint Fondant in Beige. 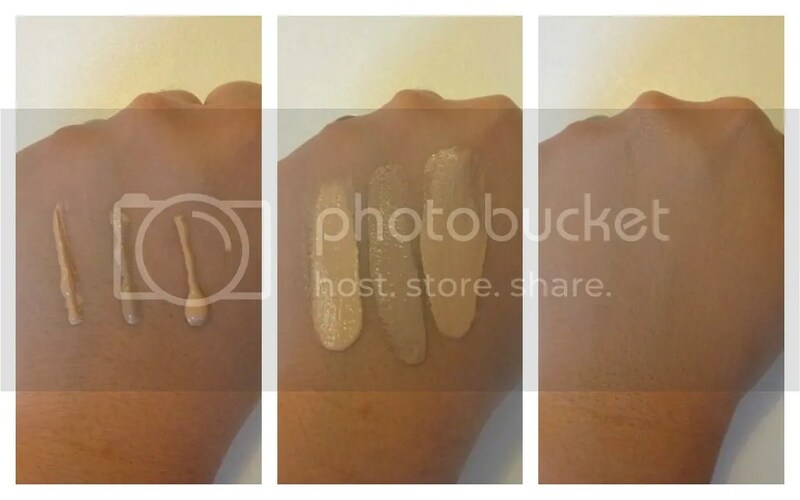 Looking at the swatches, this is visibly darker than the other two foundations and does apply about 1 to 2 shades darker when blended, but I like to use this when I’m showing some skin because my body is weird and has retained my summer tan unlike my face. I find that this is nearly full coverage and slightly oilier than the other two foundations, but doesn’t feel too uncomfortable. This has very good lasting power despite having more slip to it. Charlotte Tilbury Magic Foundation in 5 Medium is my favourite and also the most expensive at GBP29.50. On its own, it’s a really beautiful medium coverage foundation that is slightly brightening. It dries matte, so I was concerned about it being drying and was recommended to use this with some of her Magic Cream, but found it too expensive. However, I’ve found the perfect alternative – MAC’s strobe cream makes this so stunningly flawless, less drying and easier to blend, as well as even more brightening. This foundation with MAC’s strobe cream is my perfect base at the moment when I’m on a hot date with the hubby or other important events where I need to look flawless and photograph well. 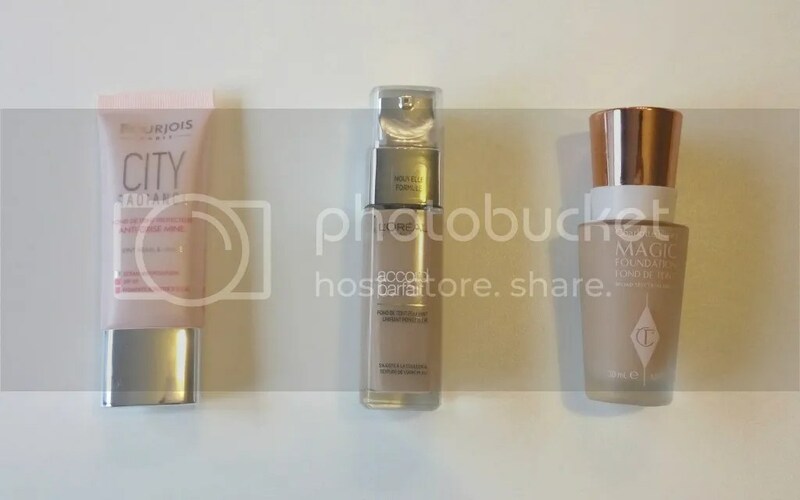 So here we are, my current top 3 most used foundations. What are yours?